This list contains every tea blog I'm aware of. It currently numbers about 365 tea blogs. If you know of any I've missed or if you see one on here that's goners, please leave a comment. If I've included your blog here, please consider linking to Tea Guy Speaks. The Persimmon Tree Tea Co. The Tea & Biscuit Co. Tea Blog: For Those About to Steep! http://culinaryteas.blogspot.com/ It's fairly new, we would be thrilled to be on your list. I love your blog! You're on the list, as of this morning. Thanks for checking in. Thank you for the inclusion! The Pu-erh Community on Live Journal is a great resource for pu-erh lovers and would be enthusiasts. Thanks for the info. Great site. I'd be honoured to be added to your lovely list. Thanks much for your wonderful blog, as well! Always room for another. I'll add it today. Thanks for linking to me. A photoblog with nothing but pictures of attractive females at tea. A tea blog like no other. I am enjoying the Steeped in Tea Blog. Hi Bill, great list. here's another.. Your excellent site inspired me to launch my own, which is a way of tracking what I am drinking in one easy spot. Thanks for the inspiration and the great reviews! There's also Save the World with Tea, the blog of NYC's Sympathy for the Kettle. Like what you are doing here, William. The more useful information and educational resources there are out there about tea, the better. I especially liked the Turkey tea pot. We wound up creating a post with a link to it on our blogsite. Check us out at www.tching.com. If you like what you see, we would appreciate it if you added us to your blog list. Happy Holidays. I am Relznuk, and I maintain the Insani-Tea blog. I noticed my blog isn't on your list, and I'd love for it to be there! If you wouldn't mind adding it, I'd greatly appreciate it! It's designed as a tea group with open and free membership to those based in NYC. I'd like to post a link to my tea blog. It is located at http://www.stevendodd.com and focuses mostly on tea, but has other topics like film, literature, and beer. This might be abit too old to comment. I just found you. Thanks for including my blog, and I'm adding yours to my list! I think you would do well adding Tealogic to your list. Hey, just came accross your blog and I'm really liking it. Could you put my tea blog in your list? Its www.steepology.com thanks for reading! I already had Steepology on the list for the next time I update. Awesome! Got any tips for a new to tea blogging blogger? My advice would be to be sure you want to do it in the first place. Lots of blogs seem to fizzle after the initial burst. You might also want to think about how you can set yourself apart from the many other tea blogs out there. Would you be interested in me going through this list and deleting those who haven't posted since a certain time? It would certainly help those of us who are active to not be buried among so many links. Adding mine would be great. Thank you! The list is due for an update this week. When time permits I may break it down into active and inactive segments. If you run across any links that go to nothing, please let me know. Thanks for the link to our site. Your blog rocks. Not only does your site rock in its own right, it is helping me find lots of other great tea sites to visit! I had been away from drinking tea for quite a while. It's great to be back. Thanks again! Greetings - thanks for the comprehensive list. Thanks for including The T-Cozy on your list! I've added you to our blog roll, as well. We focus on health studies and our company's happenings. While not strictly a blog as such, I submit that White Tea Central (www.whiteteacentral.com) might merit consideration. It already has a link to your blog. 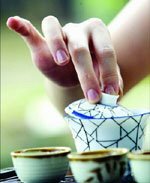 http://www.ehow.com/how_2181295_make-loose-tea.html is a good article on how to brew loose tea. Great site, by the way! Would be honored to be added to your blog list. Love your site. I don't see Tea Journal maintained by Warden on your list. As he is a little shy of the limelight, he is not likely to point out the shortcoming himself. One more addition. It's in both english and French. I make handmade teaware . Hello everyone! Great blog list, and I'm very excited to start checking out what everyone is doing. I've recently started my own blog and would like to be added to this list if possible. It's at www.taiwanteaguy.com. Thanks, and I look forward to sharing tea experiences with all of these wonderful and cool people! Hi! I'm from Italy, I've created a blog in january, named "Giardino Zen", where I speak mainly of tea. The address is: http://giardinozen.wordpress.com (in italian). I have a tea and hospitality blog at http://www.gracioushospitality.blogspot.com. Please drop by. You have been listed on my links for quite some time now. please visit and leave comments. and I'm adding you to my blogroll now! I would love to have my blog added to your bloglist. I often post about tea. Many happy cups to you! Just started it recently, but planning to grow! Could you please add our blog? Would you mind adding my blog? FYI, I've added you to my tea blog directory as well. Thanks! Floating Clouds, Gliding Eagle is again alive and active. We've also got a tea blog: http://www.heavenoftea.com. Would love to be added! Great list. Would love to be included in your list if at all possible - yet another tea blog. Very nice list. Would love to be included in your list if at all possible - yet another tea blog. Tea Guy...please visit us if you are ever in Temecula, California. We offer all sorts of loose leaf teas, from green to white to balck to oolongs, to loose to bags to a monthly tea club. We make high quality tea affordable for everyone. We also feature a big push on education. Please visit us at any time. Thanks for letting me post, and if any users need help with anything or have a tea question please visit us and contact me. Hello! I have a tea blog and would like to request it be added to your directory. I'm a big fan. You've got a great list growing here. Could you add us? It's the group blog for us here at The Tea Spot in Boulder Co.
Could you add us to your site? Description: Authentic Chai Tea Blends made with 100% organic ingredients and fair traded tea. We'd love to see our new Exotic Teapot blog included in your list. It's all about teapot art and quirky tea related news. Thank you in advance for the addition. We'd love to see our new Exotic Teapot blog included in your list. The world can always use another tea blog! We would love to be listed. You must add tea goober, formerly known as tea dork. In spite of his name, very knowledgeable about tea, very nice photography. A modest goober to be sure. Hi, would you mind to add my tea blog. i just started it and be pleased to find some readers for it! Hi There. I must admit, this is the first time i've ever attempted to blog. 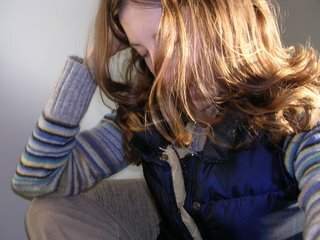 I hope its cool to tell you all about a new site my twin sister and I have launched this week www.tea-stain.com . Its for groups of people who drink tea. Basically, you can personalise a tea mat online, and we'll send you one out in the post. I'd love to know what you think? please add teamusings.blogspot.com to your tea blog list. Teaquilibrium would be thrilled to have our blog, "From Black to Green and All In Between" added to the list. We hope everyone enjoys the site! The Art and Culture of Tea and Tea Ware Expo"
Please could you add http://dormouseandtheteapot.blogspot.com/ to your blog role. Would you feature our blog? This is such a great page! It would be awesome if you could check out my blog, and feature it. Its fairly new, but with much dedication and work it will be solid for every tea drinker out there. The blog will have battle of the brands, tea of the month, and reviews and more. Thanks for adding me to your list. You've been on mine for a little while here. I would love to be on your list! There's the Good Tea Blog at http://goodtea.wordpress.com/ that I think qualifies. Thanks! I have a blog, Mico's Tea Tips, (http://chamaven.blogspot.com/) associated with our online teashop (www.kingfishertea.com) with tea tips and recipes and other info. Would love to be listed by you. Thanks for sharing the love of good tea! List me! List me! List me! List me! I am associated with the very teas we travel to find. Hey Tea guy! Check out www.TeaAmigos.com. It's a new website that adds a humorous spin to the fine craft of reviewing teas. We would love a link from you. Feel free to contact us with any questions. Word up. Hi Tea Guy! Thanks for compiling this list of tea blogs. I will be spending a lot of time reading them! Could you add my blog to the list? Could you add my new Tea blog as well? hello to fellow travelers on the Path of Tea.. If you could add our blog, I would be very grateful. Just wondered if mine could be added to the list please? Its about a new online tea store for British people out of the country who can't buy their fave tea!! BTW, thank you for this list! It is truly great to know there are so many tea enthusiasts out there. May I ask you to include me on your tea blog list? My blog documents what I'm learning about tea, as I try to educate my palate. Appreciate if you could include my blog at http://teaartblog.blogspot.com into your tea blog list. I'll be sure to return the favor. Thank you for this great list. I love exploring all the other tea blogs. Hi Tea Guy! Thanku for updating about the Tea blogs. I will be spending a lot of time reading them! Could you kindly add my blog to the list? Hi Tea Guy. I'm a non-expert tea enthusiast in the UK. I'd love to be on your list. This is a great idea! I love looking at tea blogs. Would you mind adding my blog to your list? Great blog, can you please include http://www.blogbal.com to your list. Thanks! Hi, what clever and useful idea! We are yet another blog that would enjoy being on the list---www.teagrandcentral.com. We are taking a very playful look at the world of tea. Hi, I really would like to appear in your blog list, if possible. Here's a new tea website that has a tea blog & forum. Looks like a good one to check out. I love exploring all these tea blogs. I'd like to be added to your list. Thanks. I would appreciate being added to your tea list. Wow, what company! Would love to be listed,thanks. Hello! I am new so if you would add me to your list? How about a bit of African tea? My site - African Brew Ha Ha - describes my quest for the ultimate cuppa in a 15,000-mile motorcycle trip through two continents ending in Cape Town, South Africa. Now I'm back I write on all things tea. Kopius Teas Blog for announcements and support of our wholesale blending and distribution center. Our site specializes in tea benefits for your health but also has general information about tea...take a look at it and let me know what you think and add us to your blog list for tea. It talks a lot about quality and tea lifestyle. Go Tea Plantation Agronomy for tea growing related discussions / information. I also have a tea blog, but a different take on a tea blog - it's all about tea accessories. Hi, am adding your site to my blog links and would be thrilled to have you list my blog on your site: Tea Time with A.C. Cargill at http://teatimewithaccargill.blogspot.com/. Happy Holidays! Hi, I also have a new blog: Little Yellow Teapot Reviews Tea at http://www.lyt-reviews-tea.blogspot.com/. (I moved the tea reviews off of my regular blog to keep it focused on articles about living the "tea life.") Could you please also add this to your list? Thanks! I'd love to be on your list as well. Would love to be on the list on the next revision - thanks! I do tastings and write reviews of tea, talk about tea ware, history, news etc. I would love to be listed! Present tea talks (tea etiquette, tea history, Jane Austen teas, and tastings) for libraries, museums, in-home parties and corporate events. I also write a blog about tea and eco friendly things, called "steepings"
Hope you will add me to your list. ESP Emporium, a world of tea has a blog at http://blog.espemporium.com/. Would love it if you can link my blog & and I will link you too. This is a fairly new blog, and would greatly appreciate if you can link my blog to your list and I will link you as well. Thanks! I will link to your blog also. I usually post about the teas I have, and usually with detailed pics. I just found your wonderful site. What a great resource! I love it! I recently started my own tea blog, http://teapottreasures.blogspot.com I would be honored to be included on your list. This is such a wonderful resource, thank you so much! I'm just getting started (well, as of January) and trying to find ways to network is always on my list. If you don't mind adding me (That Pour Girl), that would be lovely. Please note our new blog is no longer active. Could you please add Teeblogi at http://teeblogi.wordpress.com/ - A Finnish Teablog partly in English. An ex-Mainly Teabag Guy looks into a wider world of tea. Thanks! Here is another blog http://www.jirisan.webs.com for consideration to your tea blog. TeaGuy, please add "The Tea Files" at http://www.jirisan.webs.com to your extensive tea blog list. I will be adding a link to your blog soon at http://anytimeteas.com. Could you please add mine to your list? I will probably be back to ask you to guest blog for me. I'd like to have as many guest bloggers as possible. I love variety. I'd love to be included in your list of tea blogs and was impressed to see such a long chain of blogs to select from. Thank you for a very valuable resource. Thank you for adding "A Girl With Tea" to your Tea Blog List. Way cool! New Tea Blog - www.royalteaco.net - happy Sunday! Please add www.vitalifematcha.com/blog.php to your list. Thanks so much for such an awesome collections of tea blog Tea Guy! I would be honored to have mine added! Hi, I really would like to appear in your list, if possible. Please add my blog to your list! I am certified tea sommelier from Canada. We could not find our blog,http://teaartblog.blogspot.com which was however removed without any notice. As such, we could be greatly appreciate if you could look into it and revert to us your findings. Thanks for publishing my earlier comments. However, we noted that our blog site at http://teaartblog.blogspot.com have not been included in your existing list despite of the above official complaint. Your kind and prompt attention and action is greatly appreciated. Hi, I too have a small contribution to make here. Hey there, thanks for making this list. I've been working on a tea blog for a while now, it would be really cool if you could add it to the list.
! Thankyou for all your work on it. I''d love to be included. I've had a blog for a couple of years and my New Year resolution is to be faithful in posting! This is awesome! Great tea blog list, I have been looking for something like this. I have a new blog I would love if you could include it in your list. It has tea reviews, news, and information. Here's an interesting blog about hibiscus tea. It is a somewhat obscure tea that gets some positive recognition for possible health benefits. Can you add my tea page to your website? Hey, love the blog and the directory, it's been really helpful for me starting out. Would love it if you could add my blog: www.hiphopteashop.blogspot.com I'm not an expert, but I'm trying to make it accessable. Hope you like it! Hi! Please feel free to check out my new tea blog from Vancouver (Canada). Cheers!